Eat, Pray, Love is a formulaic memoir that works. 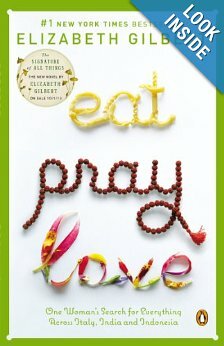 Elizabeth Gilbert structured her book around discovery across three cultures: pleasure (eating) in Italy; devotion (praying) in India; and a balance between worldly enjoyment and divine transcendence (loving) in Bali. In this class you will learn the skills Gilbert brings to this classic bestselling memoir, and discover for yourself how to make your own memoir shine by employing these craft techniques into your own writing. • What is a formulaic memoir? • Narrative voice—what works and what doesn’t in Eat, Pray, Love. • Writing a present-tense memoir. • Setting up expectations—promise and delivery. • Italy, India, and Bali as characters. • Primary and secondary character development and examples. • What we loved and didn’t love about Gilbert’s characters. • The craft of character building. • Creating personal and global takeaways. • Descriptions and scenes that paint a picture of Gilbert in each country. • All about the facts—how to weave factoids and history into a memoir. • Illustrating themes and how to do it seamlessly. • How to walk your talk in your memoir. • Planting and harvesting your story seeds in memoir. • Holding the narrative arc—tightly! • Through-threads, contained story lines, and fluid transitions.